Kay has written scores of journal articles and blogs for both professional and consumer outlets. Here are a few recent and featured articles with available PDF downloads. Contact Brilliant Aging if you would like more information about other articles listed. Van Norman, K.,(1998, rev. 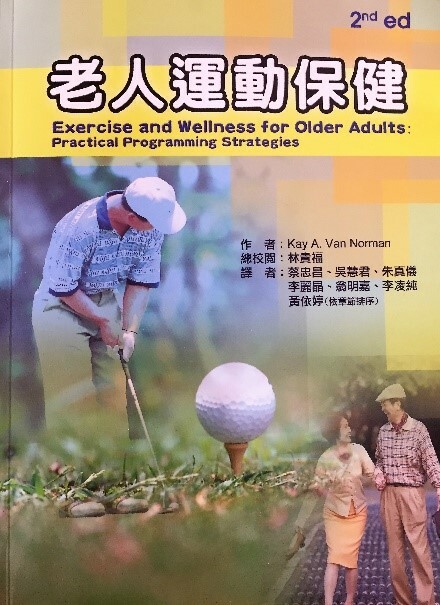 2004), “Exercise Programming & Leadership”, chapter in Exercise for Older Adults: ACE’S Guide for Fitness Professionals published by the American Council on Exercise (ACE). Van Norman, K., Rogers, K. (2013) “How Healthcare Reform Opens New Doors to Senior Living”, Journal on Active Aging, January/February. Van Norman, K., Milner, C., Milner, J. (2012) “The Media’s Portrayal of Aging”, Journal on Active Aging, March/April. Van Norman, K. (2009) “Creating Purpose-Driven Communities”, Journal on Active Aging, September/October. Van Norman, K. (2004), “Increasing Physical Activity Participation among 50+ Adults: A New Approach, Journal on Active Aging, September/October. Van Norman, K, Montague, J., (2002) “Taking Wellness to New Levels”, Assisted Living Success, October. “More than Physical”, October 2000. Van Norman, K. (1999), “Wellness: Moving from Principle to Practical Application” Retirement Community Business, (spring). Van Norman, K. (1999) “Motivation & Compliance in Exercise Programs for Older Adults” Canadian Fitness, July. Van Norman, K., and Montague, J. (1998),“The Multi-Station Wellness Concept: Motivating Older Adults to Move Towards Wellness”, American Senior Fitness Bulletin, Vol.5,no.1, winter 1998. Van Norman, K., and Montague, J. (1998) “The Multi-Stations Wellness Model” Assisted Living Success, August. Van Norman, K., (1998) “Motivation and Compliance in Exercise Programs for Older Adults” The Journal of Physical Education, Recreation, and Dance, October. Van Norman, K. (1998) “The Role of Wellness Programming in Assisted Living” Ohio Assisted Living Association, June/July.